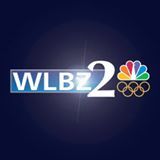 BAR HARBOR, Maine (NEWS CENTER) — On Thursday, MDI broke ground on a new research facility. The biological laboratory tracks the outbreaks of diseases and works to find their cures among many other things. Their goal for the future is to create a space where they can train the next generation of scientists. By expanding their research wing, MDI’s President, Kevin Strange, said they will be able to expand the education opportunities profoundly. As a kid, Dr. Bob Morris, fell in love with research and this facility. Now he hopes he can spark others to see the fun in science as well. “It’s wonderful for me to see the light bulb go off and to see the new discoveries we can make about how humans can regenerate and slow the process of aging,” he said. Some student fellows were also at the groundbreaking and were just as excited. “It’s been an amazing experience this place is really special. It feel likes a little slice of heaven. You get to do cutting edge research with brilliant people with a gorgeous back drop of Frenchman’s Bay…It doesn’t get any better than that,” said Natasha Hongsermeier. The new bio lab is expected to be complete by March of 2017.